St. Patrick's Day Special, 48% Off! 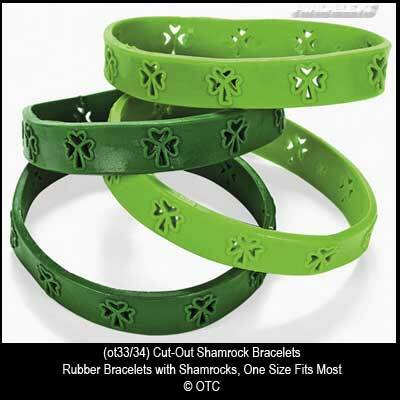 This St. Patrick's Day jewelry is rubber bracelets that have cut out shamrocks. These shamrock bracelets from The Irish Gift House are available in both Kelly green and forest green and they stretch so one size fits most wrists.